If your searching for the perfect hybrid for your ongoing Boulder City adventures, you can’t go wrong with the Selection at Findlay Toyota. Choose a Toyota Prius, the most popular hybrid vehicle on the planet, opt for a luxurious Avalon hybrid or slide behind the wheel of a Camry and get up to 53 mpg/highway efficiency. Need a crossover? We have that covered too with options like the RAV4 and the Highlander to give you the seating and power you and your busy Pahrump family need. 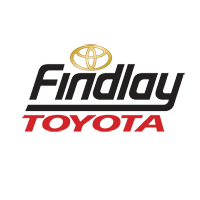 Explore your options here, then keep reading to see what else you’ll find at Findlay Toyota. You can even use our online tools to apply for financing, schedule service, and see which rebates, incentives, and coupons can save you more. Get started here and, when you’re ready to schedule your Moapa area test drive, give us a call.